News of the Royal pregnancy has the fashion world frothing over the next chapter in Kate's sartorial evolution. Hats off to Kate. The newly pregnant Duchess of Cambridge has fashion followers thrilled at the prospect of royal maternity wear. "Looks like there's a best-dressed baby on the way!" So tweeted Vanity Fair following the news that Kate, The Duchess of Cambridge and wife of Prince William, is pregnant Monday. Accompanying the tweet was a link to an Instagram picture showing Kate, 30, on the cover of the magazine's annual style issue. So important to the fashion community is the mother of a future British monarch that style bibles such as Harper's Bazaar heralded the news, while In Style breathlessly proclaimed that "A new Prince or Princess is on the way!" Fashionista.com revealed the announcement with the headline, "Kate Middleton is Really Pregnant," in reference to the "is she/isn't she?" baby rumors that have circulated since the couple tied the knot a mere 20 months ago. Women's Wear Daily even ran the announcement under the "Fashion Scoops" category on their website. Kate has become a sartorial icon in the period following her nuptials, with women across the globe emulating her chicly elegant approach to dressing. 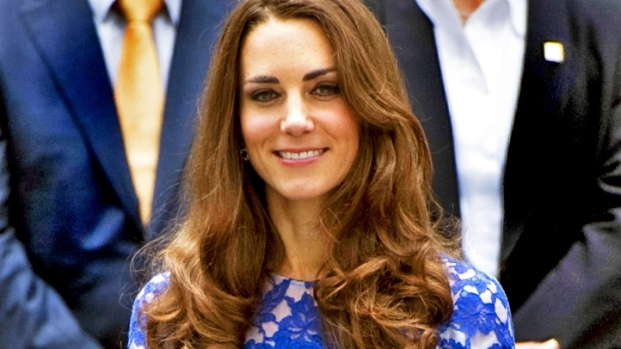 Her influence on clothing purchases has been dubbed the "Duchess Effect." And her impact on the business of fashion retailing will only continue to grow in tandem with her bump, observers say. "As soon as she stepped out of the car on her wedding day, dress designers went into action," says Guyton. "They designed replica versions of her gown and they were purchased by brides everywhere. We see the same thing happening for her maternity style." 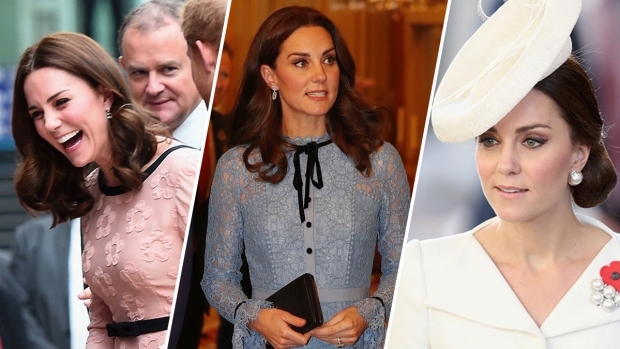 "The big maternity style designers will be keeping a close eye on what she is wearing and then designing pieces that they will actually market as Kate Middleton style," Guyton adds. "And moms everywhere will start mimicking whatever elements she brings - like sleeved gowns following her wedding." So fashionably inspiring is the mother-to-be, when she stepped out recently sporting a new hairstyle with long bangs, Manhattan salons reported a rush on the cut, according to the Daily Mail. That high/low practicality is something we will continue to see, believes Guyton: "She'll stick with the way she dresses normally, she'll just incorporate that into her bump style. She'll probably wear dresses with ruching across the stomach, and she'll probably wear bold shades of blue which is one of her favorite colors. Really curve-hugging, flattering silhouettes, nothing too drapey like we have seen from Jessica Simpson and Kourtney Kardashian, she'll wear more form-fitting pieces." Guyton is also excited at the prospect of seeing maternity clothing highlighted on the red carpet and at formal evening events, thanks to the Duchess' continuing public role as a member of the royal family. Though she warns fashion followers not to expect any major shifts in personal style. "She won't be too revealing, just as she dresses now," says Guyton. "You won't see her exposing too much, no plunging necklines. I think we will see her to continue to wear above-the-knee hemlines. People will want to emulate her. She's is in the spotlight and will obviously be in the spotlight even more now. However much she decides to show us her bump, we'll be watching."